What is a Delaware Quit Claim Deed? 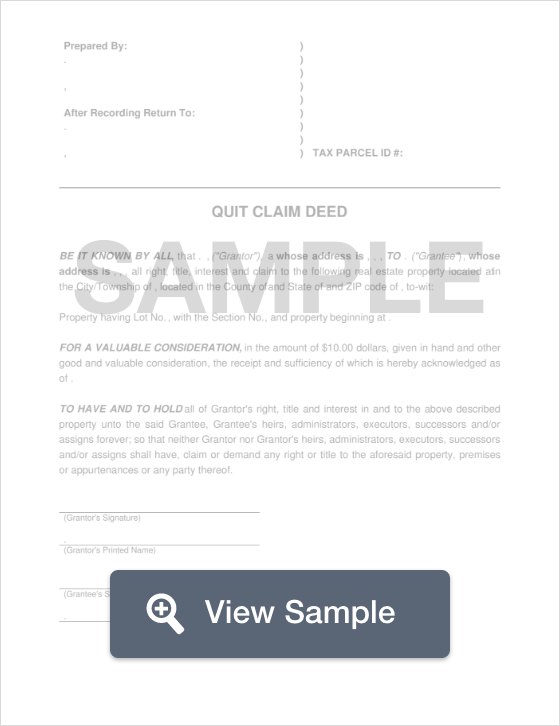 Delaware Quit Claim Deed: What Is It? A Delaware a quit claim deed is a document used to transfer ownership interest to a buyer from the current owner. Contrasting from a warranty deed, a quit claim deed provides no guarantee that the property is being sold with a free and clear title, but rather prevents the seller from coming back at a later date and claiming interest on the property. This type of property transfer is generally used for property transfers between family members or in cases of divorce, however, the buyer should always conduct a title search to ensure that there are no major encumbrances on the property. Delaware Laws dictate that specific language is used when creating the quit claim deed. The statues say that words like “grant” or “convey” may not be used in a quit claim deed, as they insinuate that a warranty is being provided on the property title. Instead, a quit claim can only use the word “quit claim” when describing the transfer of ownership. The signing of a quit claim deed must occur in the presence of a Notary Public (§122). Once the document has been signed and notarized, it must be recorded in either Kent, New Castle, or Sussex County.